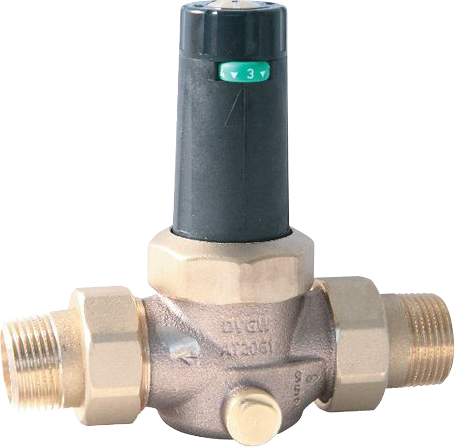 Pressure regulating valve with threaded unions on both sides and a strainer. With inlet pressure indicator. Outlet pressure adjustment range 1.5 - 5 bar (type 6203.1) or 5 - 8 bar (type 6203.2). Body made of gunmetal.